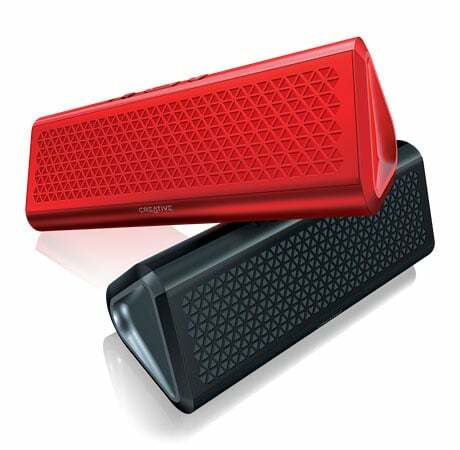 Creative Technology has announced two portable NFC wireless speakers, the Creative Airwave and Creative Airwave HD, that allow users to stream music via Bluetooth from their favourite device. Available in a range of colours, the speakers can be paired quickly with another NFC device by tapping the two together. Alternatively a connection can be made by traditional Bluetooth pairing or a generic aux-in input. A built-in microphone allows the units to be used as a speakerphone. The speakers will arrive at retail in June 2013, with the Airwave priced at £89.99 (US$137) and the Airwave HD, which sports a better amplifier and support for pairing with two Bluetooth devices simultaneously, weighing in at £129.99 ($198).